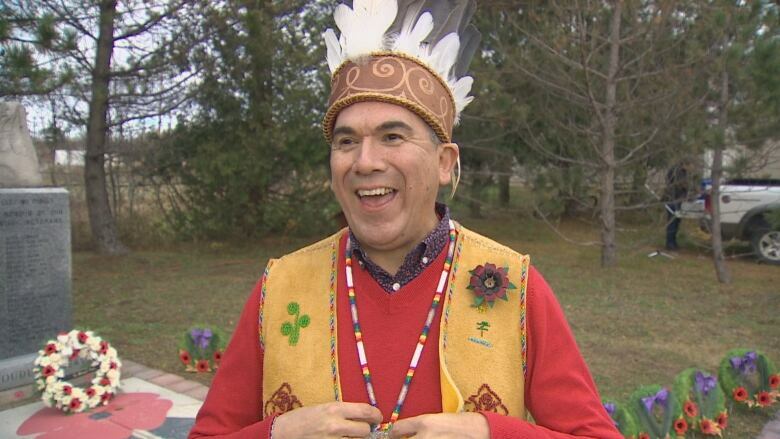 St. Mary's First Nation held a ceremony for National Aboriginal Veterans Day on Fredericton north side honouring Indigenous veterans from past wars. St. Mary's First Nation Chief Allan Polchies — like so many Canadians — had a family member who served in the war and took part in a ceremony to remember that family member and all other Indigenous veterans. 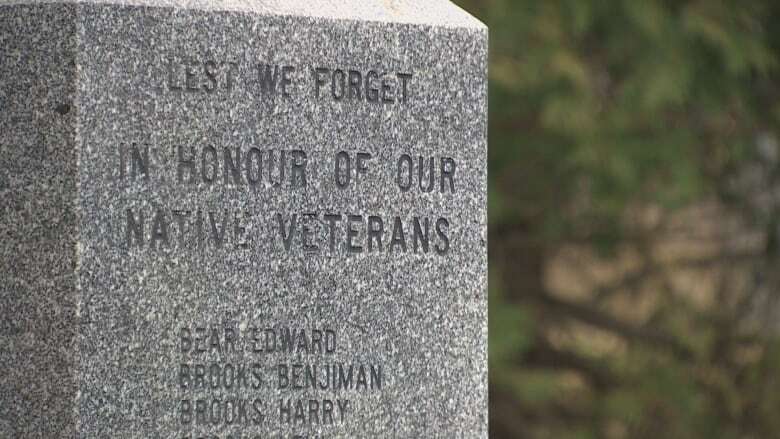 A remembrance ceremony was held at the cenotaph on the Fredericton's north side Thursday morning, as the community celebrated National Aboriginal Veterans Day. It happens every year on Nov. 8 and began in 1994 in Winnipeg, where a memorial stands. This was Polchies' first time attending the ceremony as chief, and he said it was important to him. Community members, the local legion, local police and 5th Canadian Division Support Base Gagetown were invited to attend. "It's very significant," he said. "We've honoured them today, we honour them every single year." He said there aren't many veterans left in the north side Indigenous community. Recently, one of their elders who was well-known in the community died. Pat Laporte, who served in the Second World War, died in 2015 at the age of 90. Laporte was eldest and longest-standing member of the veteran family in the community, according to Polchies. A coffee shop in the community is now named after him, called Pat's Place. Polchies said a big part of remembering and honouring veterans is involving youth. 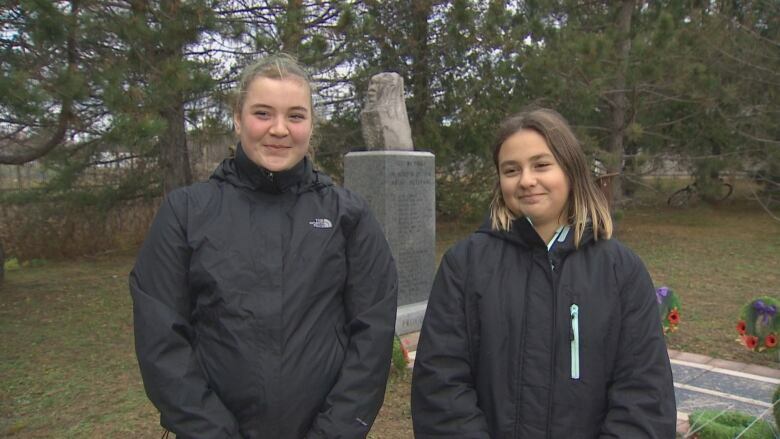 Chelsey Sappier and Aubrey Paul Price, two Devon Middle School students, took part in the ceremony, reading the names of veterans from their community. "It's important to remember them because they did represent our community," said Sappier. Paul Price read the name her relative Daniel Paul. She said doing that was important to her. Sappier agreed. "It was kind of hard reading some of my relatives names because some of them are gone," said Sappier. The community had a reception after the ceremony at St. Mary's Entertainment Centre.